A while back, I had a new 300 Win Mag built as a medium to long range hunting rifle. As I was finishing up the project, I started looking at possible bipod options. I searched the internet and talked to some buddies but I really couldn’t find all the information I was looking for. I looked at a bunch of manufacturer websites and read their descriptions, but still wasn’t satisfied because I was looking for real world comparisons. That’s when I decided the best way to get the information I wanted was to do a side by side test of my own. With that idea in mind, I pitched the idea to Robby and Ryan for a Rokslide bipod shootout. They both thought it would be valuable to the members and so the fun began. At first this was going to be a quick comparison of maybe three bipods, but with input from Ryan and the Rokslide readers it quickly grew to a bigger project. Ryan and I contacted several bipod manufacturers, pitched our idea, and asked if they would like to participate. After many emails and phone calls back and forth we ended up including six of the most popular and cutting edge bipods on the market. 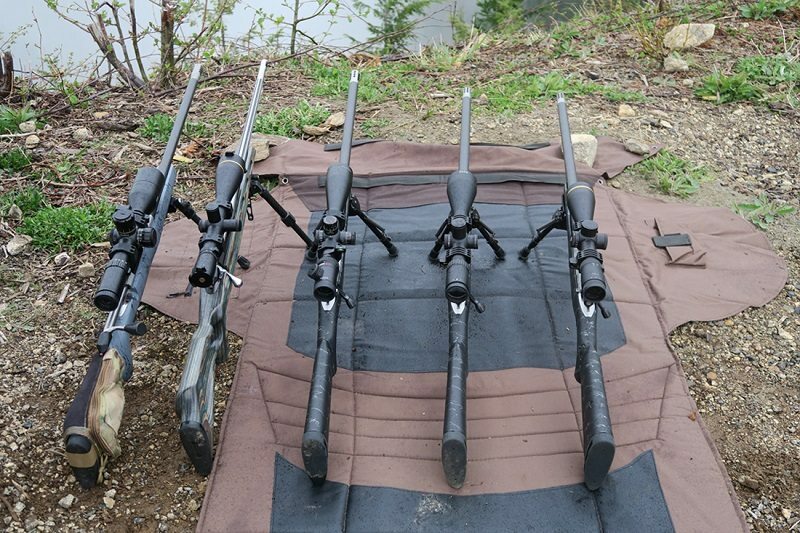 We tried to include a mix of bipods that would meet all budgets and needs. Once all the bipods arrived I spent a few months testing them in different situations ranging from the bench, to flat and uneven ground, uphill and downhill, and even some sitting shots. First up is the Blackhawk Sportster Traversetrack 6″-9″Bipod. The Blackhawk was the least expensive of all the bipods tested at about $75.00 retail. It is a very handy little bipod with some great features. It’s easy to attach to the sling swivel stud on your rifle with a little clamp like you find on the Harris bipods and in fact the Blackhawk is very similar to the Harris bipods in most aspects of the design. The spring loaded legs deploy easily by simply pulling them down until they “snap” into position. Height adjustment is simple with the tension knobs on the legs that allow you to lock the legs at any height you need within the overall minimum and maximum heights. The bipod has a nice pan/tilt feature that is adjustable with a single lever located at the rear of the bipod. At first it would tighten down nicely but after extensive use it has started to loosen up a little and now there is some “play” in it even when tightened. The weight is reasonable at 15oz and the rubber feet grip well on most surfaces. I think the Blackhawk is a good value and would recommend this bipod to the budget focused shooter who wants great features but doesn’t put hundreds or thousands of rounds down range each year. Next up is the Harris Ultralight 6″-9″ Bipod. Harris has been a long standing favorite of shooters, and sportsman. They are reasonably priced for most budgets at about $105.00 retail for the model I used. Weight is not bad at 13.1 oz. and the legs are sized perfectly for prone or bench shooting. Like the Blackhawk, the Harris mounts directly to the sling stud on the forearm of the rifle. The legs are spring loaded and deploy in a flash. The design allows the shooter to fully load the legs without extensive forward movement. The head on this bipod allows for side to side tilt but no panning. There is a tension knob located on the back of the bipod that is a little tough to tighten unless you use a pair of pliers or add the optional lever lock in place of the knob. The legs on this model adjust up and down a series of slots machined into the legs at half inch intervals by pressing a “button”, and lock in position on release. 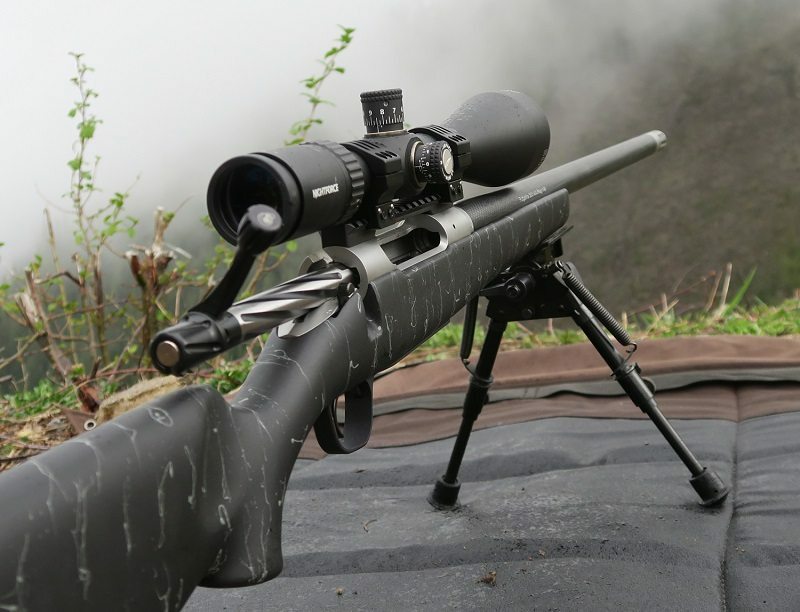 The Harris is a favorite among some of the best shooters in the world due to the simple mechanical design and is great option for a hunter or shooter who wants a well-built bipod that will provide them with years of solid service. Atlas seems to be the benchmark that all other quality bipods are measured against. At $220.00 retail, the Atlas 4.75″-9″ BT10 V8 Bipod is double the investment of a Harris. This model is one of their basic bipods without any upgrades. 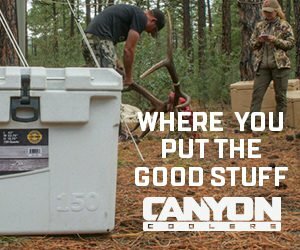 The size is perfect for prone and bench shooting and it weighs in at 12oz. The legs deploy with the press of a button on each leg and can be locked in five different positions. The height adjusts easily by pulling on the spring loaded fittings similar to an air hose coupling and pulling the legs out one at a time. On this model the legs can spin when you push the rifle forward which can make “loading” difficult on some surfaces. The head offers 15 degrees of preloaded cant and pan with an adjustable tension knob on the bottom, between the legs. The rubber feet can be removed and replaced with a bunch of different feet options such as spikes or claws using a small tool or pen to press the little buttons. Leg extensions can also be added using the same interface. This model mounts directly to a picatinny rail with two slotted screws. The Atlas also has leverlock options for mounting the bipod to your rifle. At a price of $319.95 retail, I would recommend the BT46-LW17 PSR instead of the model I tested since it comes with the lever lock for attaching to the rifle and also has non-rotating legs. The Javelin Mkll 6.5″-9.5″ is a truly unique bipod. It doesn’t attach to your rifle and fold like most bipods, but instead uses a magnetic post that interfaces with a socket type adapter mounted to your rifle. They make a few different adapters to mount the bipod to your stock; a flat adapter, a curved adapter, a picatinny adapter, and a gunsmith adapter which requires a permanent installation in the forearm of your stock. I went with the flat adapter which simply replaces your front sling swivel stud and installs in a few minutes. The Javelin pans really easy due to the attachment system which makes it really nice when using the sitting length legs for coyote hunting or other times when game is constantly moving. The leg height adjustment is a twist lock setup like you find on hiking sticks and tripod legs. There is a tilt feature with a nice “tri-winged” nut for setting the tension. With a weight of only 5.25 oz. 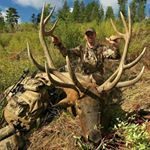 the Javelin is truly a great choice for the ounce-counting backcountry hunter. Even with the sitting length legs it only weighs 6.9 oz! The feet have sharp tungsten points that are covered with removable rubber caps which will give you a solid grip on just about any surface. Retail is $296.76 for the model I tested, and the sitting length legs are an additional $88.00. A side benefit to the bipod not being attached to the rifle like most is you don’t have the extra weight hanging on the fore end if you have to take an offhand shot. 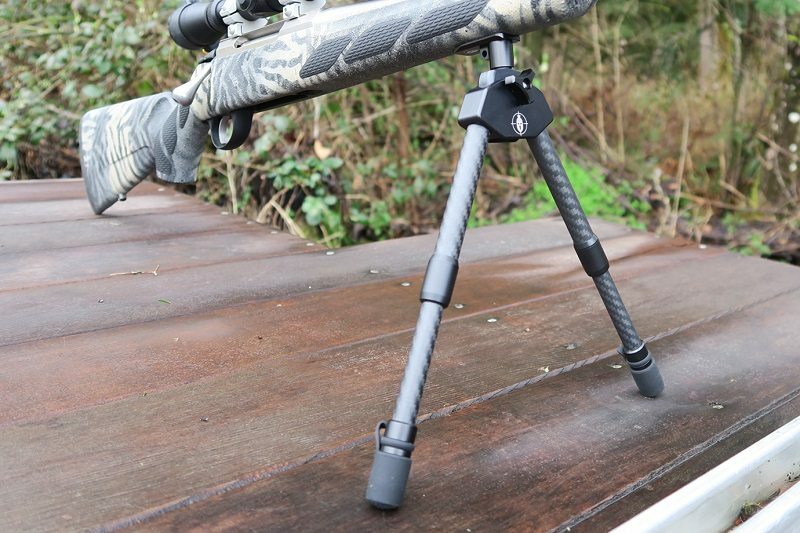 The Extreme Pod 7″-10″ Bipod is designed and sold by Bob Beck of Extreme Outer Limits. 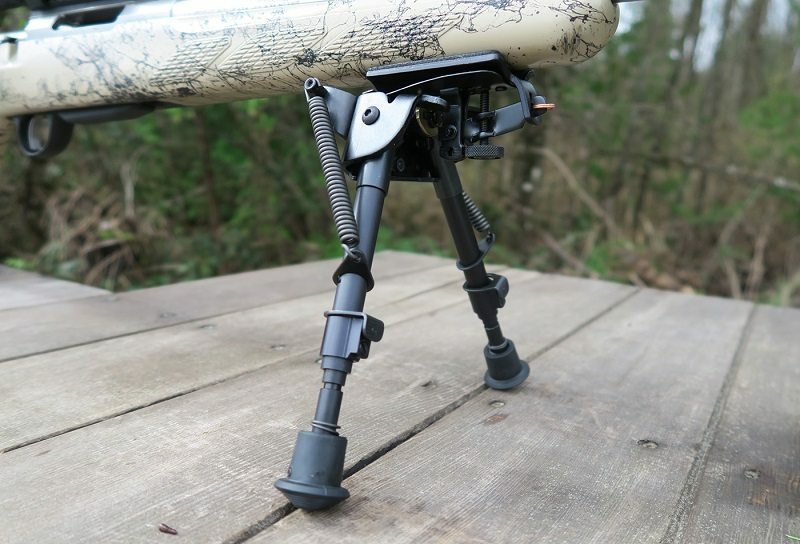 This is a unique bipod that uses a revolutionary ball and socket design which gives the shooter the flexibility of 360° pan and 180° tilt. Everything locks down with one ambidextrous, oversized handle and the legs swing out and lock with the push of a button on each leg. The carbon fiber legs of the Extreme Pod extend using a twist lock type system and really lock down well with a slight twist of the hexagon-shaped nuts. Because the legs swing out to the side instead of front to back, there is no loading required like on other bipods. The Extreme Pod mounts to a standard Picatinny rail and attaches/detaches quickly without tools thanks to a finger tightened knurled knob. The model I tested is $315.00 retail and weighs 13.2 oz. The Extreme Store now also offers 17.5″ leg extensions for sitting which cost $110.00 retail although I didn’t get a chance to test them. The feet are machined aluminum and work great on dirt or vegetation, but can be a bit slippery on hard surfaces like rock. 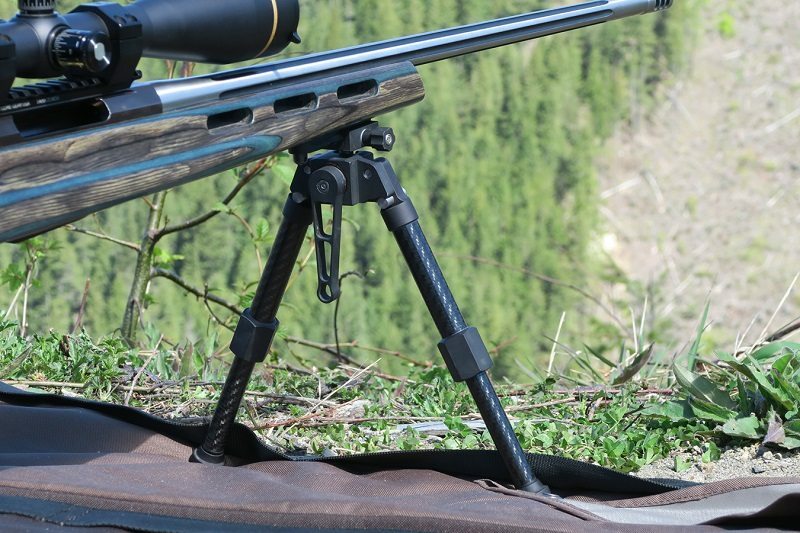 This bipod really excels when setting up a shot on extreme side hills or uphill or downhill. The design of the Extreme Pod is simple and effective. Last up is the EvoPod 8″-11″ Bipod. It’s hard to figure out where to start when describing the EvoPod with all the options and features it offers but I’ll start with the heart of the bipod. 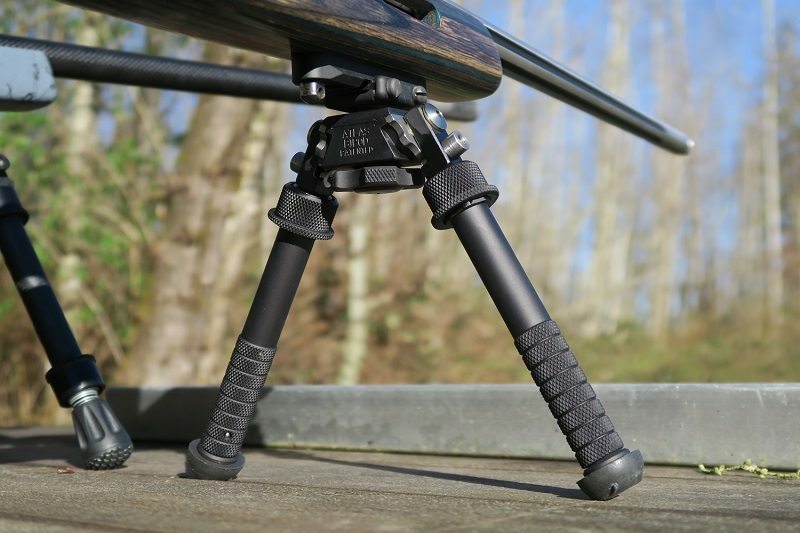 The EvoPod is built around their patent-pending bipod hub. The hub mounts to a picatinny rail with a quick release locking lever. The legs attach and detach in a flash using a spigot system which makes it really easy to go from a prone height bipod to sitting height. It also has a tripod adaptor that mounts in place of the legs giving the shooter even more shooting options. The standard feet are rubber and grip most surfaces well. They also offer spiked feet as an accessory option although I found them a little bulky and heavy for my liking. The leg adjustments are fast and easy using the same basic coupler type system that is used by Atlas, with the exception that these legs won’t spin when locked, making them more stable. The locking lever on the center hub works the best of all the bipods tested for fine tuning the cant of the rifle and then locking it solidly in place. This is a great feature for long range shooting where a plumb rifle is very important. The EvoPod doesn’t pan but there is a new version that was just released with that ability. The bipod weighs 15.85 oz. with the short legs and 19.7 oz. with the long, sitting length legs. The EvoPod is the heaviest of all the bipods tested but it also has the most features. 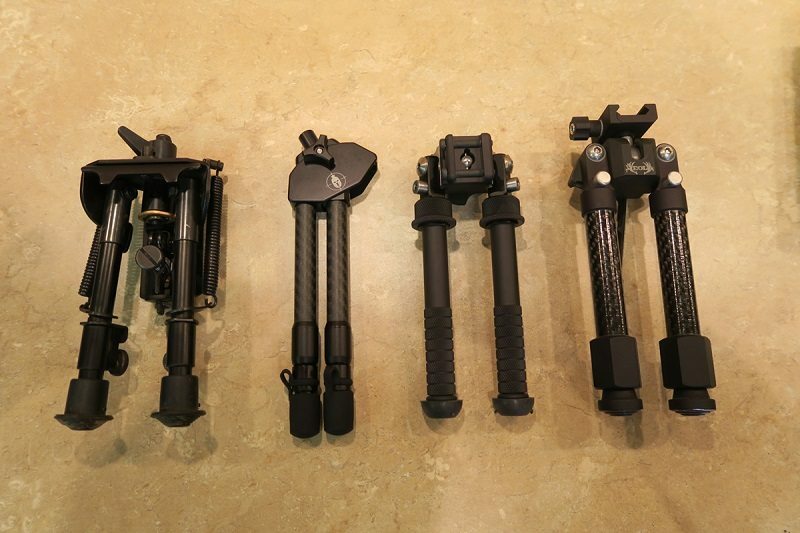 After using all these different bipods for quite a while I believe they all have a place depending on your needs and situation. For someone on a tighter budget, the Blackhawk is a trusty bipod that will work well. The Harris will outshine the Blackhawk in the long run and is a great simple bipod that just simply works, although I do recommend getting the upgraded pod lock for it. I think the Atlas is a great choice if you want a pretty much indestructible, heavy duty, long range bipod. The Javelin is awesome for anytime weight is important but you still want a steady shooting platform. 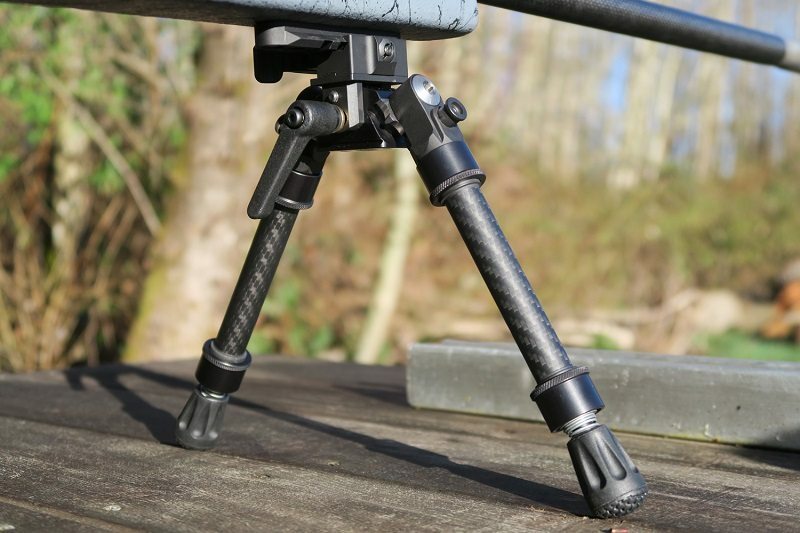 The Extreme Pod is a simple, lightweight, versatile and sturdy bipod that is built to withstand whatever you might throw at it. And lastly, the EvoPod is great if lightweight isn’t the first thing on your list of wants, but versatility is.